The team is based in Barton House on the Cambridge Biomedical Campus and works closely with the rest of the Research and Development department. With eight team members they will be able to help researchers with patient expenses, excess treatment costs and purchase orders. The information below will help you find the latest information funding calls and links to partner websites. The National Institute for Health Research’s vision is to improve the health and wealth of the nation through research. Visit the NIHR website to find out more about funding opportunities, including funding for research studies and training/career development. The NIHR also offers an annual fellowship programme for health care professionals including, nurses, midwives, allied healthcare professionals and doctors. To find out more about current funding opportunities visit the RDS East of England website. ACT is the independent registered charity for Cambridge University Hospitals, including Addenbrooke’s Hospital and the Rosie Hospital. Charitable donations have bought extra high-tech equipment, paid for additional specialist staff and contributed to environmental enhancements to help make a difference for patients. ACT also funds research to improve the understanding of conditions and find possible cures for patients in Cambridge and around the world. Applications for funding are considered by Cambridge University Hospitals NHS Foundation Trust’s Research Advisory Committee (RAC). The RAC meets quarterly and takes six applications per meeting, applications are processed in the order they are received and submitted to the next meeting which has available capacity. A number of grants are available from Cancer Research UK. These cover a wide range of activity, from basic research to late phase clinical trials. Cancer Research UK also offers awards to students, post-doctoral researchers and early-stage researchers, including travel awards, fellowships and burseries. For more information and to search click here. 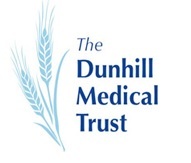 The Dunhill Medical Trust offer Research Training Fellowships, intended to provide training opportunities for academics, clinicians and allied health professionals who wish to pursue a research career in ageing, rehabilitation or palliative care. They advertise 4 fellowships annually, usually in the autumn. Peter Hartley, Physiotherapy Team Lead in the Department of Medicine for the Elderly at Addenbrooke’s Hospital, has been granted a research training fellowship at PhD level. Read Peter’s story here. The Efficacy and Mechanism Evaluation (EME) programme is a source of funding for clinical trials delivered through industry-academia-NHS collaborations that support the development and adoption of new treatments and devices. Within these studies, EME supports research in the mechanisms of diseases and treatments. EME is a partnership between the Medical Research Council (MRC) and NIHR. More information can be found on the EME website. The latest calls for proposals can be found on the MRC website. The 7th Framework Programme (FP7) was the European Union’s Research and Innovation funding programme for 2007-2013. The current programme is Horizon 2020 but there are many projects funded under FP7 which are still running. The European Research Council’s mission is to encourage the highest quality research in Europe through competitive funding and to support investigator-driven frontier research across all fields, on the basis of scientific excellence. The ERC complements other funding activities in Europe such as those of the national research funding agencies, and is a flagship component of Horizon 2020. 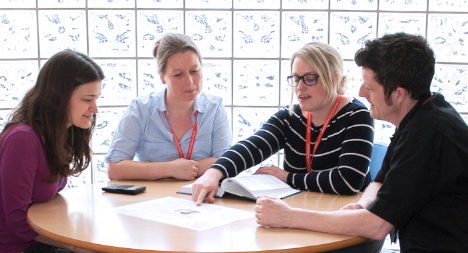 The HEE and NIHR’s Integrated Clinical Academic (ICA) Programme provides personal research training awards for healthcare professionals (excluding doctors and dentists) who wish to develop careers that combine clinical research and research leadership with continued clinical practice and clinical development. These awards are part of the HEE/NIHR Integrated Clinical Academic (ICA) Training Programme for non-medical healthcare professionals and available to NMAHPs in the East of England. The Bronze award is suitable for registered NHS staff without postgraduate qualifications or formal training in research, and supports clinicians to go on to apply for a research Master’s programme or equivalent. The Silver award is suitable for registered NHS staff with Masters or equivalent postgraduate qualification who are looking to further develop a clinical academic career. Innovate UK is part of UK Research and Innovation, a non-departmental public body funded by a grant-in-aid from the UK government. For more information and to view current open competitions visit their website.